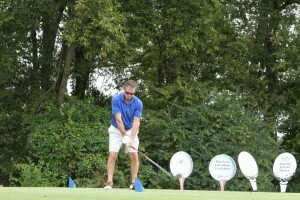 Over 70 people gathered together for the annual Michael H. Minger Memorial Foundation Golf Classic at the Gaylord Springs Golf Links in Nashville, Tennessee. Now in its sixth year, it is an opportunity for fire safety professionals and advocates to come together for a great day of golf and also support the Minger Foundation. Michael’s mother, Gail Minger, formed the foundation after Michael was killed in a fire at Murray State University in Murray, Kentucky, in 1998. Michael, 19, was a sophomore pursuing a double major in broadcast journalism and vocal performance when he was killed in an arson fire in his residence hall. The Foundation was created in Michael’s honor to help improve fire safety on campuses through raising awareness and much needed education when it comes to fire safety. After spending the day out on the course, in beautiful weather, everyone came back in for dinner. Golf Committee Chair Todd Johnson showed a short film about the accomplishments of the Foundation followed by a presentation from Bob and Maryanne Fitzsimons, who lost their daughter, Kerry Rose, in an off-campus fire at Marist College. They spoke about the heartfelt loss that hit their family last January and the impact that it has had on their lives. 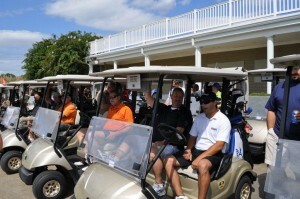 Everyone getting ready to head out for a day of golf! 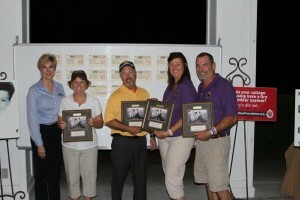 “The golf tournament is the main source of funds for the Foundation,” reported Gail. “The money we raise is used for scholarships for students attending college who have been impacted by a fire.” Or have a special need or disability. Michael Minger had a learning disability that was a contributing factor to his death and the Minger Foundation has had a focus in the area of fire safety for students with disabilities since it was founded. 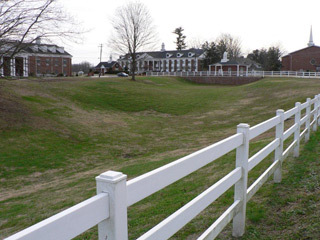 While off-campus student housing is clearly a risk across the nation, Gail also has been working on developing on-campus housing for students with disabilities by working with the University of the Cumberlands in Williamsburg, Kentucky. The university is a Christian, liberal arts school that has a strong focus on service and helping others in the community around it. After Michael’s death at Murray State University, Dr. Jim Taylor, the president at UC, and his wife Dinah, contacted Gail about a memorial they hold each year on their campus and wanted to honor Michael during this time. A friendship between the Foundation and the University just grew from there. Dr. Michael Colegrove, vice president of Student Services, invited Gail to campus on several occasions to tour the campus and talk about campus safety and most recently screened the film “9Fires” for about 100 RA’s and university officials.